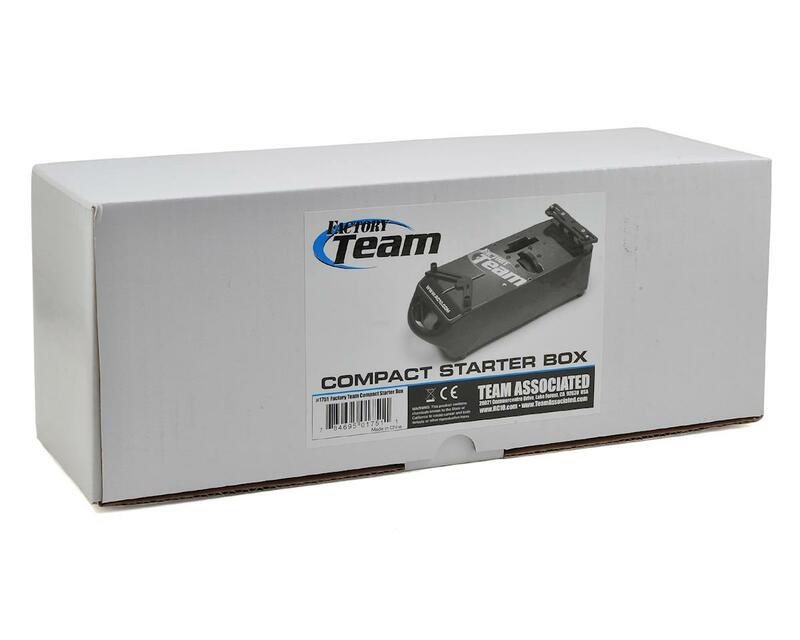 This is the Team Associated Factory Team Compact 1/10 and 1/8 Starter Box. 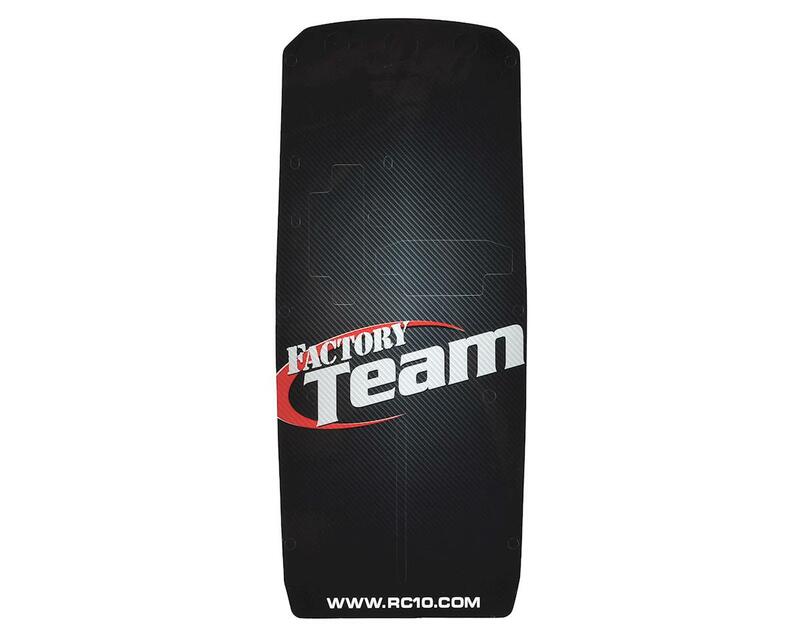 With moveable top plates and pegs, the Factory Team Compact Starter Box can adjust to fit almost any 1/10 and 1/8 scale nitro car - on-road or off-road. 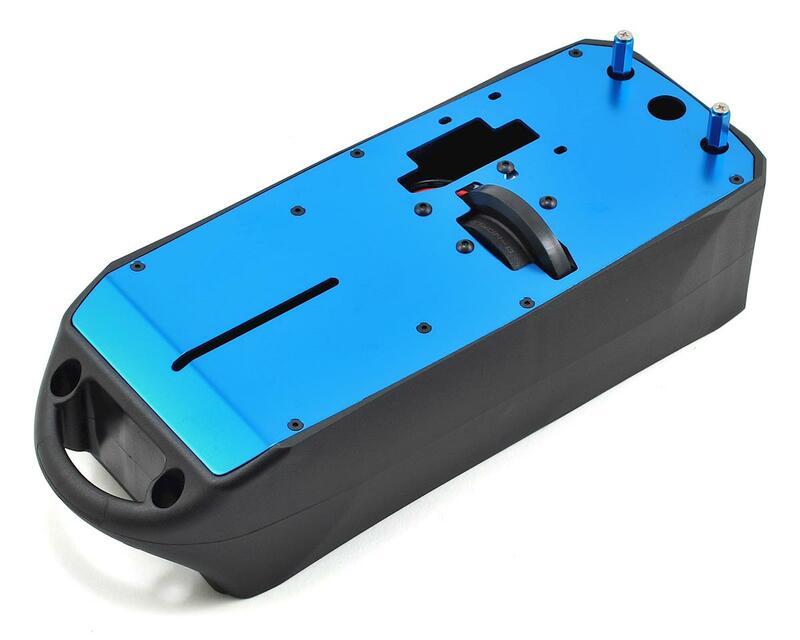 The box can be powered with two 7.2V NiMH batteries or two 7.4V LiPo batteries and features a single 775 motor and a black top plate "Factory Team" wrap sticker. Setup Tip: Remove engine, line up the pegs to position car so flywheel is over starter wheel, then reinstall engine. I bought this starter box for my RC8B3 and it fits perfect. Box was easy to set up and is good quality. I did a review on YT, you can find buy searching my name. I would definitely recommend. Using this box for my MBX7R. Wasn't an exact fit. Box seems a bit under sized for 8th scale. 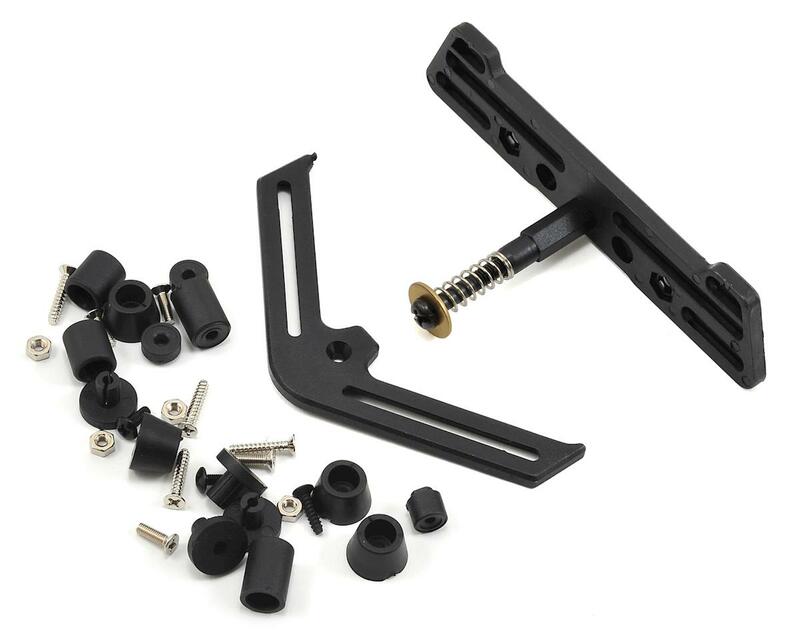 Rear of the box mount is very springy. Sometimes it sticks if you don't push straight down to start. Had to be rewired to fit my lipo of choice. Perfect starts every time once setup correctly. Movable stops will need to be reset every once in a while as they will eventually move on you. Glad no wheel shimming was needed like other boxes. I don't think the wheel can be shimmed higher. Overall it's a good starter box.